A big thank you to all the college DJs across Canada (and DJs everywhere, for that matter) for playing songs from Wordburglar’s 3rdburglar. 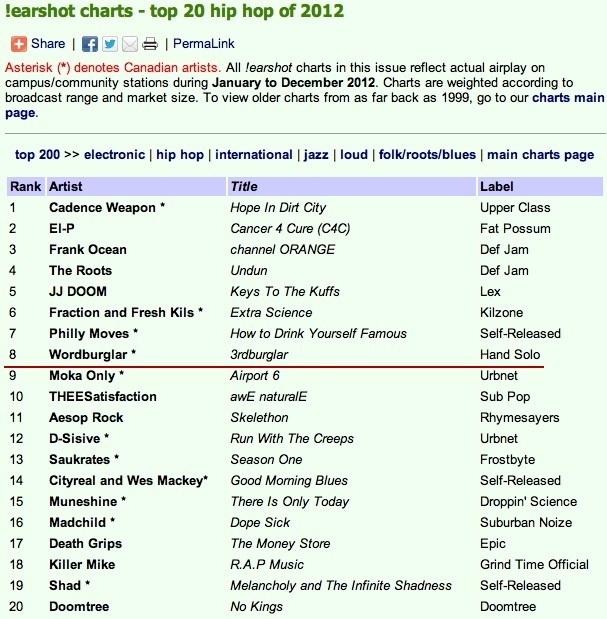 Thanks to you, Burg’s third studio album was the 8th most played album on Canadian college radio in 2012 according to the Earshot charts. See?